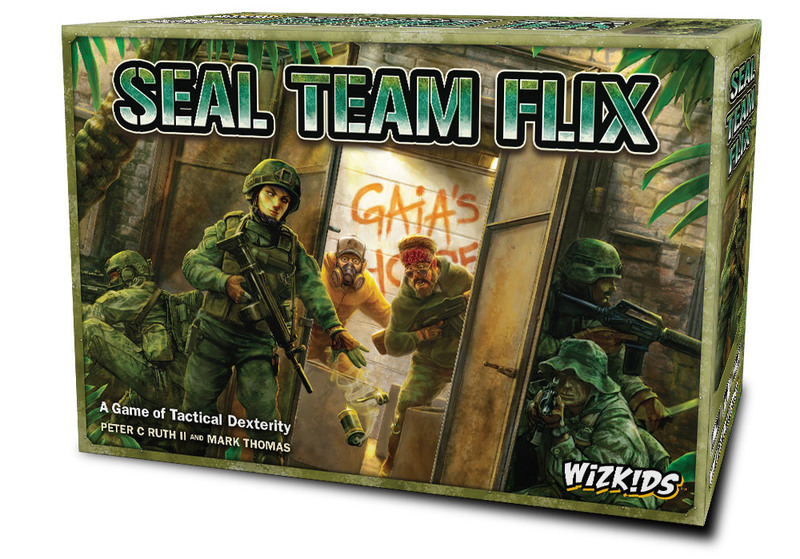 SEAL TEAM FLIX is a fully co-operative or solo tactical dexterity game that pits 1-4 players against an eco-terrorist group called, Gaia’s Hope. 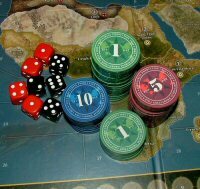 Players will travel modern through urban landscapes, such as an office building, warehouse, bank vault and three others. If you didn’t have the chance to play Flick’em Up! that was released at GenCon2015, you might run out of excuses pretty soon, because this July, Z-Man Games will be releasing a brand new “Wider Audience” edition for the game! That’s right! 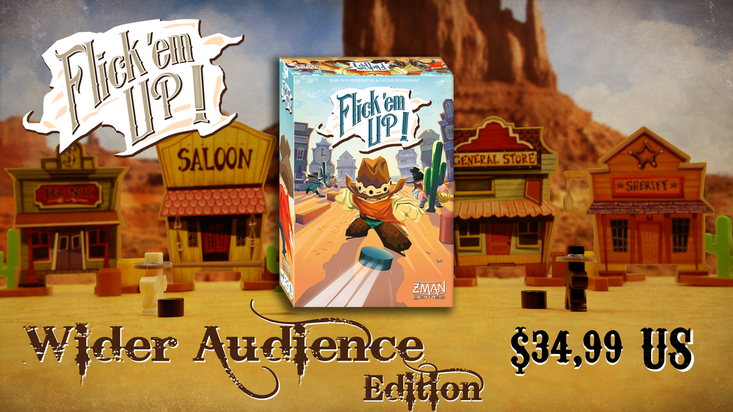 Flick’em Up! was so well received they wanted to make it available to even more gamers and families across the world. Your favorite flicking game will soon be published in 14 languages which are English, German, French, Dutch, Hungarian, Polish, Italian, Spanish, Portuguese, Chinese, Finnish, Swedish, Danish and Norwegian. ?This Wider Audience edition will be published under the Z-Man Games label, and presented in redesigned multiple multi-language boxes for the incredibly low price of $34.99 (US)! The release is scheduled for July 2016, and more details will come shortly. For now, only the sound of the waves and the cries of the gulls disturb the peace of this seemingly idyllic island…but as soon as you set foot in the jungle bordering the beach, the drums of war start sounding and you realize that you’ve suddenly gained the status of prey! 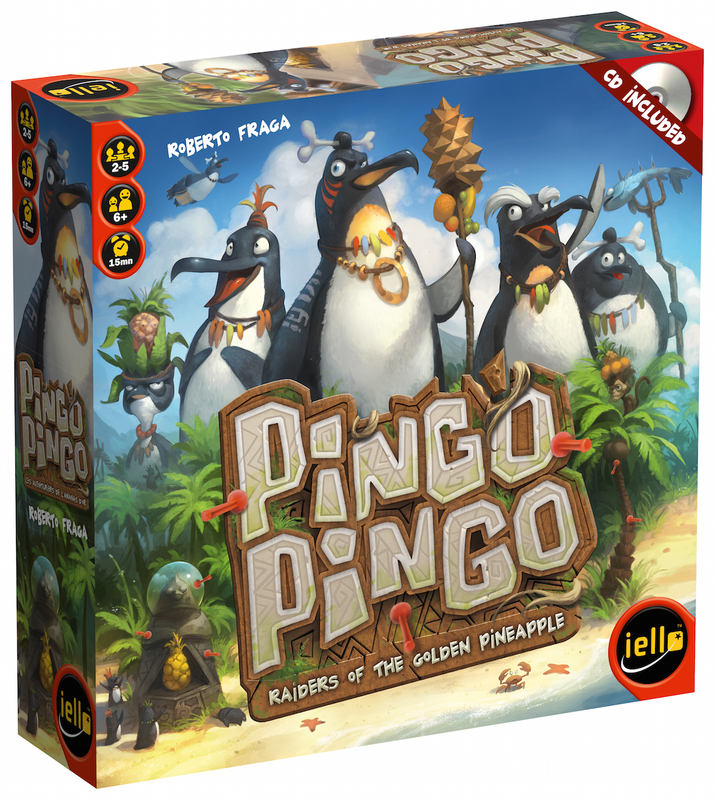 For 2-5 players aged 6+ with a 15 minute game time.